The MV Powell River Queen in a BC Ferries file photo. Image courtesy of BC Ferries. CAMPBELL RIVER, B.C. – Starting on April 1st, there will be some schedule changes to ferry sailings. 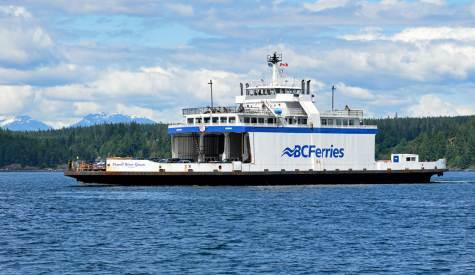 The route between Campbell River and Quadra Island, serviced by the Powell River Queen, will retain most of the same schedule but will have additional sailings in the evening. Currently, the night sailings from Campbell River are 9:30 p.m. and 10:45 p.m. Starting on April 1st, the night sailings will be 9:30 p.m., and 10:30 p.m. An 11:30 p.m. sailing will be available for Fridays and Saturdays. Tuesday 4:00 p.m. sailings are still reserved for dangerous cargo, which means no cars or foot passengers are allowed at that time. The new schedule will be in effect from April 1st until March 31st 2020.